We are opportunistic investors. We acquire properties in markets that are under-followed and under-appreciated, often resulting in greater returns than can be earned in more crowded markets. Population Trends – Is the MSA (Metropolitan Statistical Area) growing? Job Growth – Is there job growth, and is it accelerating. Any new plant openings, or layoffs imminent? AMI Growth – What is the long-term trend of AMI (Area Media Income) growth in the MS? Crime Statistics – We obtain crime statistics in the MSA, and avoid areas with above average incidences of crime. Neighborhood – Is the property located in a good part of town? Reputation – What is the reputation of the property? We research social media to learn about the property and it's reputation in the community. Public Records – We pull public records on every property we evaluate so we can become better acquainted with the asset. Property Condition – We visit the property to make our initial assessment of property condition, then engage our engineering consultant to conduct a thorough capital needs assessment so there are no surprises. Financial Analysis – We perform extensive financial modeling using historical occupancy and operating data as well as forecasting tools to provide an accurate set of assumptions for the investment pro forma. Markets change, and so must we. By going into smaller, tertiary markets that are not overly impacted by excessive investor demand, we can generally achieve higher cash flow yields than those available in the major metro areas of the U.S.
Acquire distressed, overleveraged assets at wholesale prices. Re-capitalize the asset with more moderate debt structure to obtain maximum return on equity. When analyzing a new opportunity, we analyze the cost of acquisition versus the replacement cost of the improvements. In many cases we can purchase assets at significant discounts to their replacement cost. This limits our downside risk in a declining real estate market. 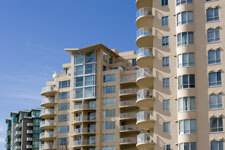 Acquire real estate assets that require repositioning in the marketplace. Enhance performance through improved management and leasing techniques, as well as incorporating unit amenity upgrades to boost rents. Real estate is a cyclical business, accentuated by growth and expansion, followed by contraction and recovery. Invest in markets where anticipated cyclical recoveries will provide opportunities for outsized returns on equity. Regardless of market conditions, in good times or bad, real estate markets are inefficient when compared to the equity and bond markets. Whereas these markets tend to be fairly valued at all times, real estate markets are more fragmented, and therefore present opportunity for the diligent investor who can capitalize on market inefficiencies.